My nails have been in a bit of a state recently. I've had some health issues and although I'm feeling much better, my nails just don't seem to be getting the memo! 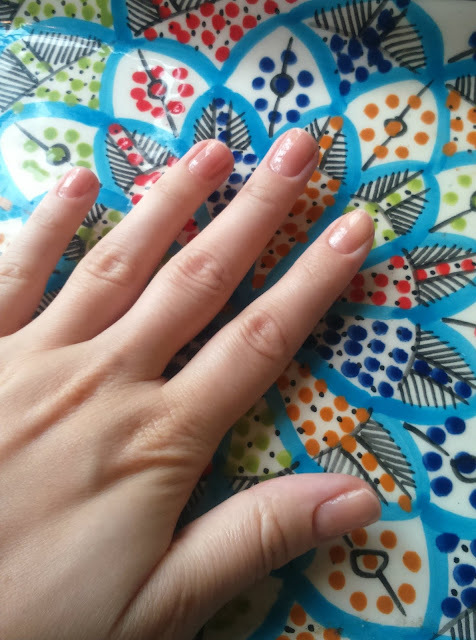 My cuticles and nail-beds have been dry and flaky and my nails have been uneven and breaking easily. So I decided to try to do something about it! I bought myself a couple of Sally Hansen's nail rehab products (such a great name!) 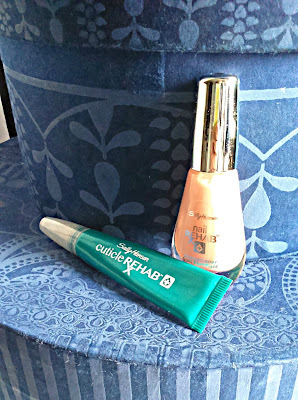 - the cuticle oil and the nail varnish. 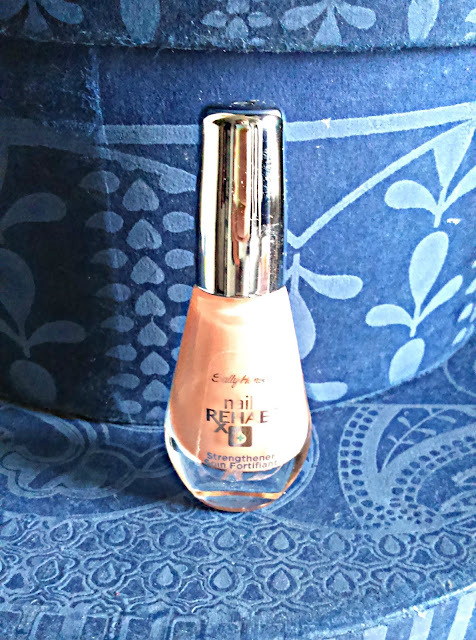 This is a rather strange review, as in the end I found I loved one product (the varnish) but that I was not at all impressed with the other (the cuticle gel). I have had great success with this product. The instructions recommend that you apply it to clean nails, leave it for a week and repeat. I've had it on for the last week and have noticed a huge improvement in my nail condition already! The varnish is great because it gives a nice shiny finish with a hint of pink colour and it hardly chipped at all...IN A WEEK! It leaves your nails so smooth as well (it can also be used as a base coat, which I'll definitely be doing in the future). 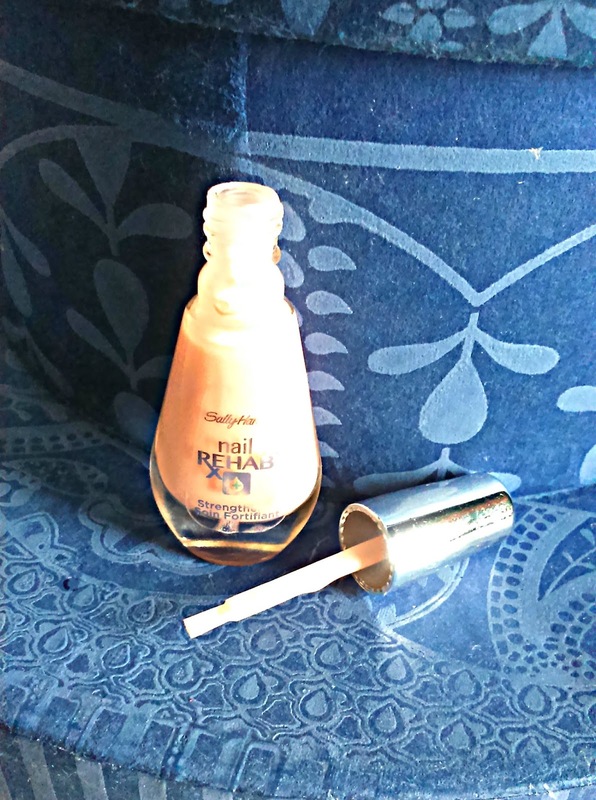 I hope you'll agree from the pictures below, that after just one week of using this, my nails are looking pretty healthy. They have grown considerably (bearing in mind that they were completely blunt a week ago!). They feel strong and smooth. I am very happy and will definitely continue using this product. I highly recommend it. 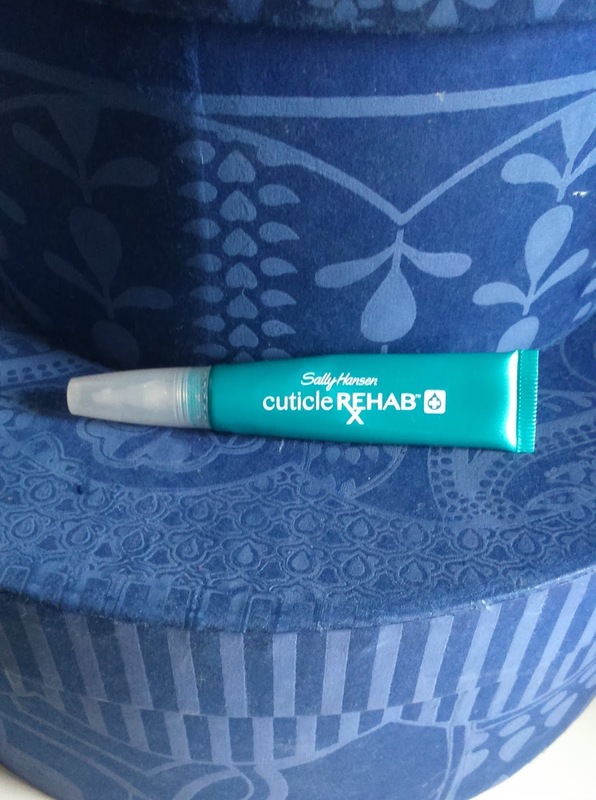 Unfortunately I had less success with the Cuticle Rehab product. I've been using this for about a month now and have only seen minimal improvement. Although it describes itself as an oil, this product is actually more like a gel. 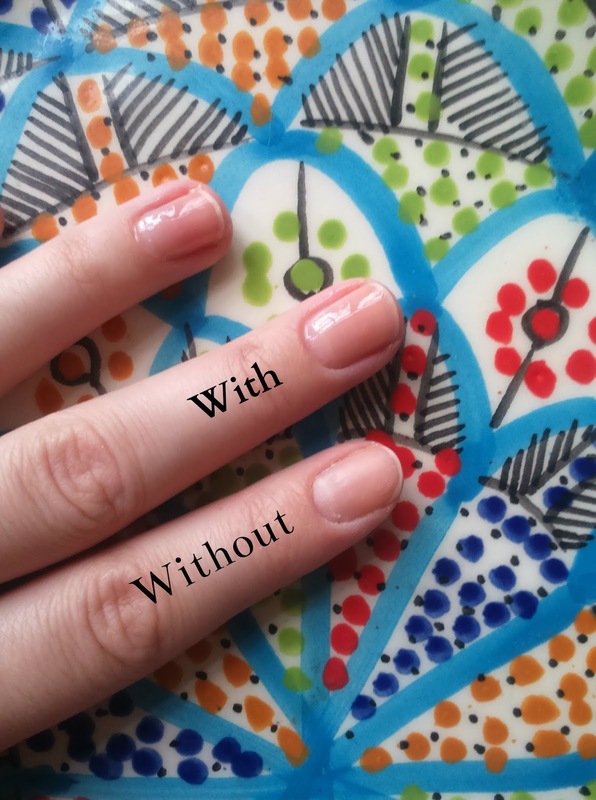 As it's more of a gel you don't get that oiliness of traditional cuticle products. 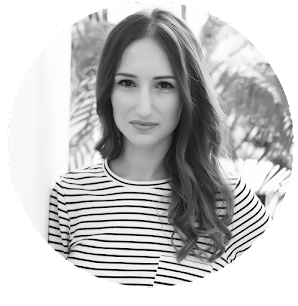 I think that oiliness is really important as it gives an instant feeling of hydration, whereas this leaves you with more of a sticky feel. You apply it with a floppy felt-tip style brush which is actually pretty tricky to use. Too much gel always comes out and the brush doesn't really rub the gel in to your cuticles - you end up having to use your fingers. As I say, I haven't seen much of a difference since using this product. 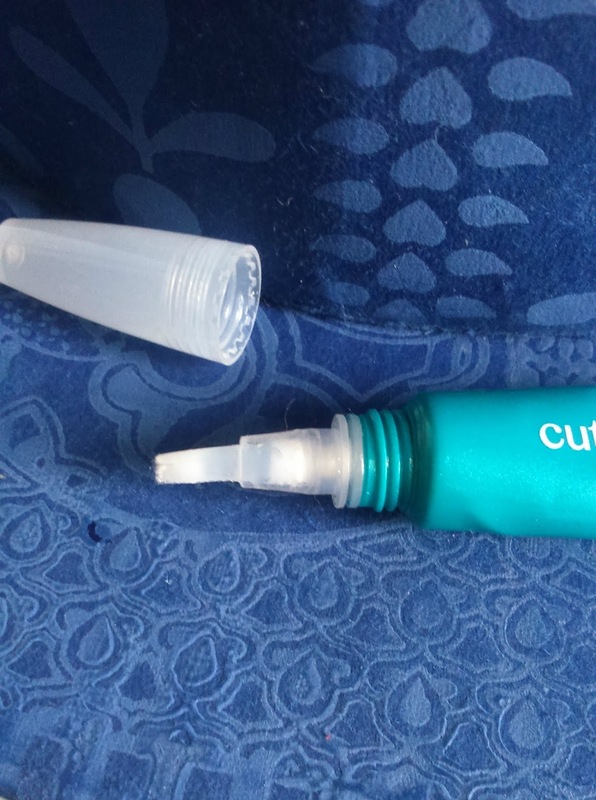 I've been better off in the past using Boots-own cheap cuticle oil. Great review, girl. Thx for your honest opinion. I love the polish, looks great :) Love the review dear! Very useful review! Thanks for sharing!! Definitely recommend the nail varnish - give it a go! This product for cuticle looks like just what I need! Thanks for sharing!